Click here to apply or call (813) 238-8410. 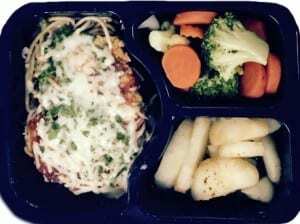 Thank you for inquiring about receiving home delivered meals from Meals On Wheels of Tampa. Freshly prepared, hot meals are delivered between 9:30AM-1PM, Monday through Friday, by volunteers. 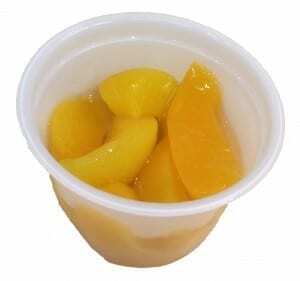 in addition to the hot meal, fresh frozen soup is provided on Thursdays and a bag of fresh produce on the 3rd Saturday of the month. 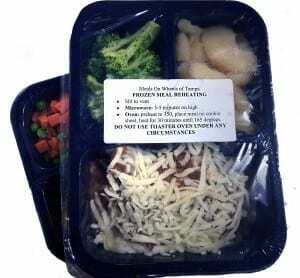 Frozen weekend meals are available and are delivered on Fridays. If you would like to apply to receive home delivered meal service, please fill out the form below. After we receive your application, we will call you within 48 business hours to discuss eligibility and pricing of home delivered meals. Thank you! 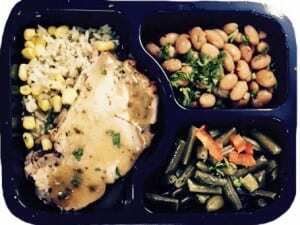 How did you hear about Meals On Wheels of Tampa*? How many people live in your household*? What is your monthly income*? Relationship to person needing meal service? Haga clic aquí para ver esta página en espanol. Live in Tampa, within one of the following zip codes: 33548, 33549, 33556, 33558, 33559, 33602, 33603, 33604, 33605, 33606, 33607, 33609, 33610, 33611, 33612, 33613, 33614, 33615, 33616, 33617, 33618, 33619, 33624, 33625, 33626, 33629, 33634, 33635, 33637, 33647. If you live outside Tampa, please click HERE to search for your local Meals On Wheels programs. 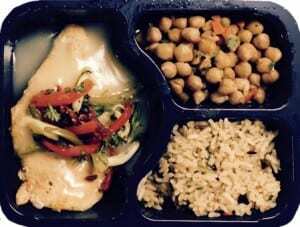 Meals On Wheels of Tampa is committed to the mission of “Nourishing and enriching the independent lives of the homebound and seniors.” We do this by sending a volunteer to deliver a hot, nutritious meal to someone who has difficulty shopping for or preparing a meal in Tampa. Our map of service is below, home meal delivery is available in the identified areas. To learn more, please click here. Meals are delivered Monday through Friday between 9:30 a.m. and 1:00 p.m (2 frozen weekend meals are provided on Friday). We ask that the recipient remains home during this time frame to receive the meal. If a recipient has a doctor’s appointment, please contact the office at (813)238-8410 by 12:00 p.m. the previous day so your name can be removed from the route. Volunteers are not allowed to leave meals on the front porch or in a cooler in the case you are not home. If you are homebound or a senior, or you know someone who is, we want to help. Be sure to fill out the Get A Meal Form. After you submit the completed Get A Meal Form, you will receive a confirmation phone call from the intake coordinator within five business days. Meal service will begin immediately following the confirmation phone call. To learn more, please click here. Please note: We serve the Greater Tampa area. To find a meal program near you, please visit www.mealsonwheelsamerica.org. If you are located in far East Hillsborough County, please contact Meals On Wheels of Plant City (813-754-9932), Meals On Wheels of Brandon or Hillsborough County Aging Services. The cost of each meals is $4.75. Meals On Wheels of Tampa makes every attempt to bring anyone on the program who needs the services. Invoices are sent to the recipient (or designated payee) at the end of each month. Please call (813)238-8410 to inquire qualifications and pricing for the home-delivered meal program. To learn more, please click here. 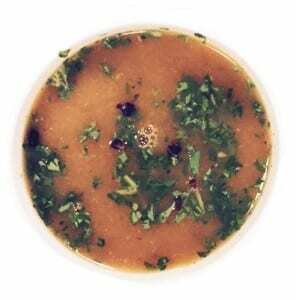 Please click here for MOWTampa Nutritional Info. For other questions, please click here. 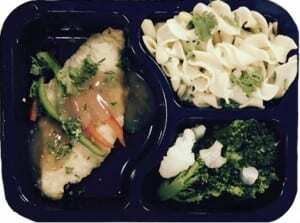 Meals On Wheels of Tampa partners with the University of South Florida College of Public Health and their Dietetic Internship program to educate its staff on the importance of food on health. To view these lectures that were developed specifically for the staff, volunteers, recipients and families of Meals On Wheels, please click here. 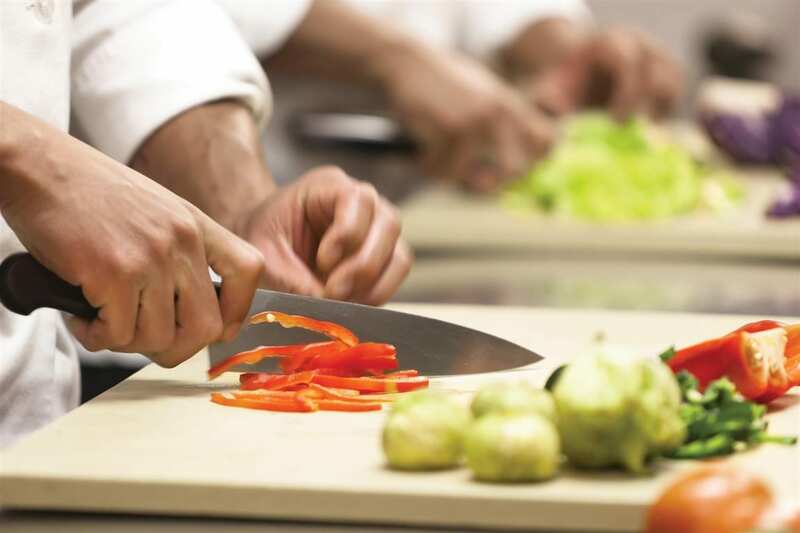 All meals are prepared fresh each day onsite, in a commercial grade kitchen. The menu includes many popular classics, as well as modern dishes, in a 30-day rotating menu. 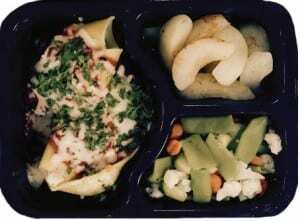 Meals are delivered hot and ready to eat in handy ‘meal sized’ recyclable trays. All frozen weekend meals have instructions for heating. To learn more, please click here. May include fruit salad, apple sauce, or pudding. The act of volunteers stopping by the home each meal service day, allows for a safety check. If a recipient does not answer the door or the telephone and/or if something seems unusual with a recipient, volunteers are instructed to notify the office immediately. Office staff will then respond by reaching out to the emergency contact on file. To learn more, please click here. Every birthday is celebrated with a special sweet treat and card. We also provide hurricane preparedness packs, produce deliveries, and holiday treats, free of charge to our recipients. This is our special way of showing our appreciation and care for everyone we serve. To learn more, please click here. Please click here to visit our Home Delivered Meal Q&A page or call us at (813) 238-8410.